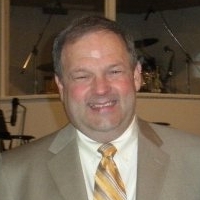 Dr. Martin Holman is the Senior Pastor at Hillcrest Baptist Church. He has served in this role since 2000, at which time his father, Dr. Frank Holman, retired. Dr. Holman is married to his wonderful wife Susan. Together they have three children and five grandchildren. Dr. Holman is a 1973 graduate of Midwestern Baptist College in Pontiac, Michigan. Before coming to Hillcrest Baptist Church he served as Pastor of Fremont Baptist Temple, in Fremont, Ohio, from 1975-1993. He left FBT to work as Director of Operations for Pete Rice Evangelistic Ministry in Tucson, Arizonia from 1993-2000. Dr. Holman is a huge fan of the Detriot Tigers and the Michigan Wolverine football. He enjoys playing softball, ping-pong and spending time with his family.